In the last year, few stories rocked the superhero movie world harder than the firing of Guardians Of The Galaxy Vol. 3 writer/director James Gunn. It was revealed that the filmmaker had posted some extremely inappropriate jokes on social media earlier in his career, and given how they clashed with the larger reputation of the Walt Disney Company it was decided by the studio to let Gunn go. It was a situation where the consequences for the industry were immediately understood – and they were bad. For starters there was the fact that the move would certainly delay Guardians of the Galaxy Vol. 3, which was a big deal just because it disrupted the tightly organized release schedule for the Marvel Cinematic Universe, and therefore put the whole thing in flux. The worse side, however, was the stain that was left on Marvel Studios’ reputation when it came to filmmaker relationships. Not only was it instantly clear how challenging it would be to replace Gunn on the space opera sequel, but it created a question of whether or not Marvel really had the backs of the writers and directors it employed. Those were talking points that lasted for months, but disappeared in a puff of smoke late last week when it was revealed that the whole ordeal had been resolved, and that James Gunn would be returning to make Guardians Of The Galaxy Vol. 3. This was news rightly met with wide-spread celebration, primarily because the filmmaker will have the opportunity to complete his vision for the blockbuster trilogy – but the positives actually go far beyond that. Because of extenuating circumstances in the matter, including other projects that are currently in the works, the move is actually far more significant for the world of superhero movies than it appears on the surface, and it could lead to a tremendously bright future. To start with the obvious, there is the fact that James Gunn’s rehiring turns Guardians Of The Galaxy Vol. 3 back into a viable project. 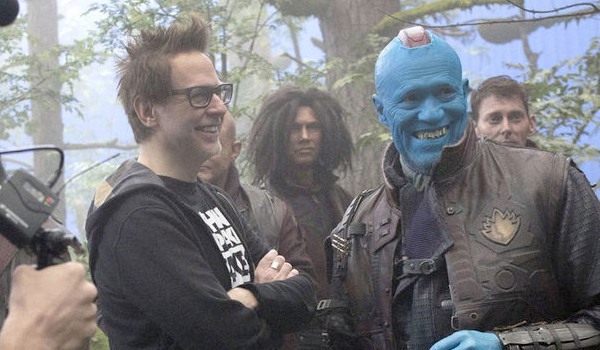 While it’s true that Gunn’s influence on the film was always going to be present, as firm plans were made to continue using the script he wrote, that was never going to be enough. Not only did the cast write and sign an open letter requesting the writer/director’s return, but it was made very clear that many filmmakers were not going to “cross the picket line” by taking the job (with individuals like Edgar Wright, Chris Miller, and Taika Waititi all publicly expressing their support of Gunn). While not technically impossible, movies generally don’t get made without having directors attached, and it was clear that finding a replacement was going to be a herculean task. Now, of course, that entire situation is resolved. Guardians Of The Galaxy Vol. 3 clearly won’t happen on its original schedule (it was initially set up as a 2020 release), but it will still be a tentpole release put out as part of the Marvel Cinematic Universe’s Phase Four plans. Twenty years from now we won’t look back on the film primarily because of all the behind-the-scenes issues, but instead see it as one of the surprisingly rare cases of a filmmaker getting to orchestrate an entire comic book movie trilogy. In one swift move, the ultimate legacy of the film changed (assuming everything goes swimmingly from here on out, of course). After losing his job, James Gunn opted not to stay unemployed very long, and that brought him across town to what many recognize as Marvel’s biggest competitor: Warner Bros.’ DC Extended Universe. 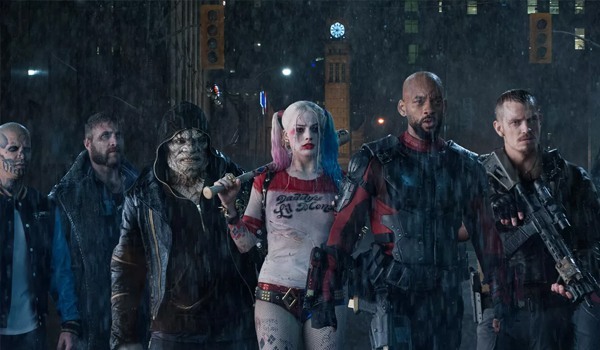 In October 2018 it was revealed that Gunn had entered talks with the studio to help them make The Suicide Squad, to which he was originally attached only as a writer, before taking the director gig as well a few months later. It was actually a major coup for Warners, as they had successfully lured one of Marvel’s most popular writer/directors to their fold, and what makes the situation even greater is that the deal seems to be totally unaffected by the most recent Guardians Of The Galaxy Vol. 3 news. Despite the fact that James Gunn is now back working as part of the Marvel Cinematic Universe, his deal to make The Suicide Squad is still intact, and plans are moving forward to have the blockbuster in theaters August 6, 2021. And this is a wonderful thing. Weird as it is, Gunn has been talking about making this kind of comic book film for years, and it’s a project that is right up his alley when you consider his sensibilities (as seen in movies like Super and Slither). It should obviously be very different than Guardians Of The Galaxy Vol. 3, but that by itself is actually part of what makes its development so exciting. While he’s written and produced other material in the time since he’s been working with Marvel, James Gunn has been mostly living and breathing Guardians of the Galaxy for the majority of the last six years, and part of what makes The Suicide Squad so exciting is the way in which it will allow the writer/director to really stretch his muscles in other arenas. Characters like Harley Quinn and Deadshot are quite different than the likes of Star-Lord and Drax, and orchestrating their crazy/criminal behavior while executing deadly black ops missions for the government could be a perfect creative outlet for him that also happens to give him a bit of distance and perspective on his Marvel work. So not only might we get Gunn’s unique vision of what a Suicide Squad movie could be, but making it before the trilogy capper could lead the latter film to be that much better. We’re now getting two potentially awesome blockbusters instead of just one, and that by itself is an exciting prospect. But also not to be ignored is the way that it can influence the competition between the two biggest comic book movie brands in the world. 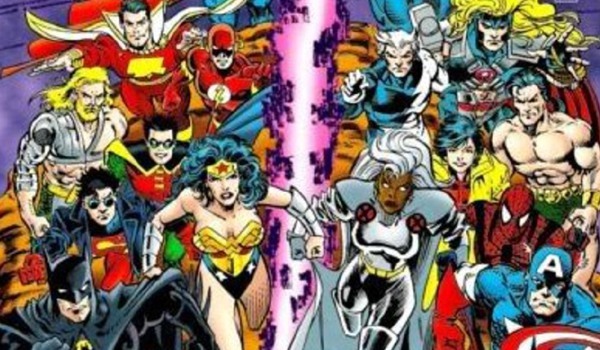 The rivalry that perpetuates between Marvel and DC has been around basically as long as the two companies have both existed – notably not only affecting things behind the scenes from a creative perspective, but also regularly inflaming their respective devoted fan bases. This, naturally, has very much continued into the big screen age, as aficionados can debate for hours the superiority of the Captain America trilogy over Christopher Nolan’s Dark Knight movies, and vice versa. Logic would dictate that comic book fans should equally enjoy both brands and the different storytelling they are delivering (and, like myself, many do), but still it stands as a famed pop culture point of contention. Nothing will ever stop individuals comparing and debating the merits of the Marvel Cinematic Universe versus the DC Extended Universe, but the current situation with James Gunn weirdly offers a situation that fans have never experienced before – and it could wind up having some fascinating results. It’s a bit more long term, but there is some excellent potential that exists behind the idea of fans uniting behind the work of a filmmaker who can make positive contributions to both franchises (especially if The Suicide Squad and Guardians Of The Galaxy Vol. 3 are as different films as we expect them to be). People will always have preferences, but it’s nice to think of the peace that could come from movie-goers everywhere uniting in support of Gunn’s talents. It should be recognized that this isn’t the first time in recent history that a Marvel filmmaker has worked on a DC project, but given the extremely different circumstances we can probably assume that things will go better this time around than what ended up happening with Joss Whedon’s attempt to save Justice League. They kind of have to, right? But it’s not just the big brands that are being benefited by these turn of events, as another smaller superhero feature could wind up getting a nice boost from the situation as well. In the immediate wake of last year’s James Gunn controversy, one film that got unfortunately shafted was David Yarovesky’s Brightburn. Produced by Gunn and written by his brother, Brian, and cousin, Mark, the movie had a big Hall H panel at San Diego Comic-Con scheduled mere hours after the Guardians Of The Galaxy Vol. 3 news, and not only was the presentation cancelled, but the film was delayed. For the longest time it looked like it was going to be a victim of circumstance beyond its purview, but that’s totally changed now that the whole matter has been resolved. 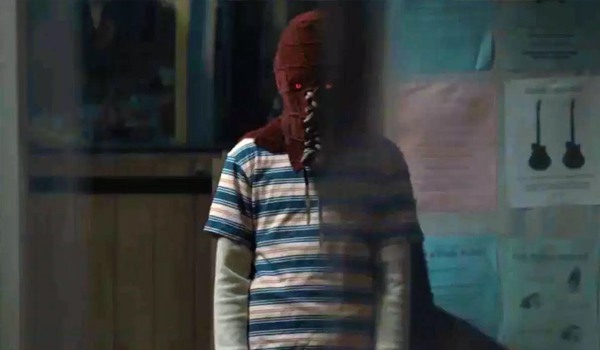 Brightburn, which is basically the Superman origin story with a horror twist, is scheduled to be released on May 24th, and the environment in which it will now be released is completely different than how it appeared it would be just a few days ago. As things initially stood, the Guardians Of The Galaxy Vol. 3 firing would have been a huge distraction from the release of the film, but now all of that talk has been neutralized. Sure, there will likely still be tons of Guardians and The Suicide Squad quotes floating around, especially if James Gunn winds up doing a fair amount of press for the release, but the context of it all will be totally different, and potentially beneficial. It was never obvious how the whole situation with James Gunn and Guardians Of The Galaxy Vol. 3 was going to play out, but now that the dust is settling we can see that things have worked out quite spectacularly. There is a lot to be excited about following these developments, and it could mean a lot of great things to come in the future of comic book and superhero big screen storytelling.